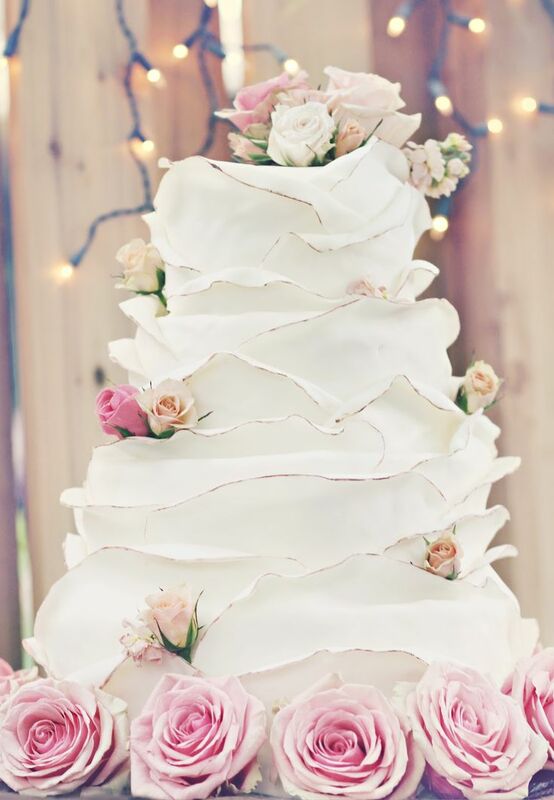 Wilting layers of fondant in a delicate ruffle pattern are utterly romantic! This simplistic look is eye catching, and with a touch of blush colored roses your cake is sure to look sophisticated and divine. 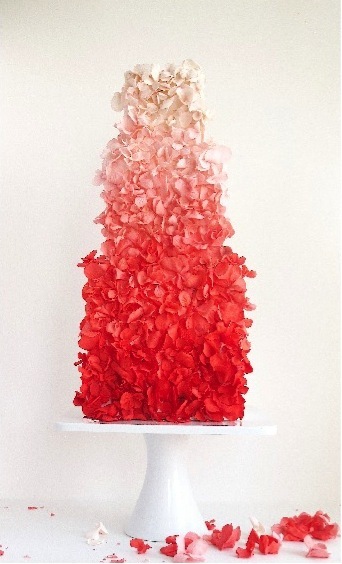 We simply cannot get enough of the ombre trend and done with these delicate sugar flowers in vibrant shades of pink and coral, this cake is a true show-stopper. Who knew that the inside of a cake could look so beautiful? 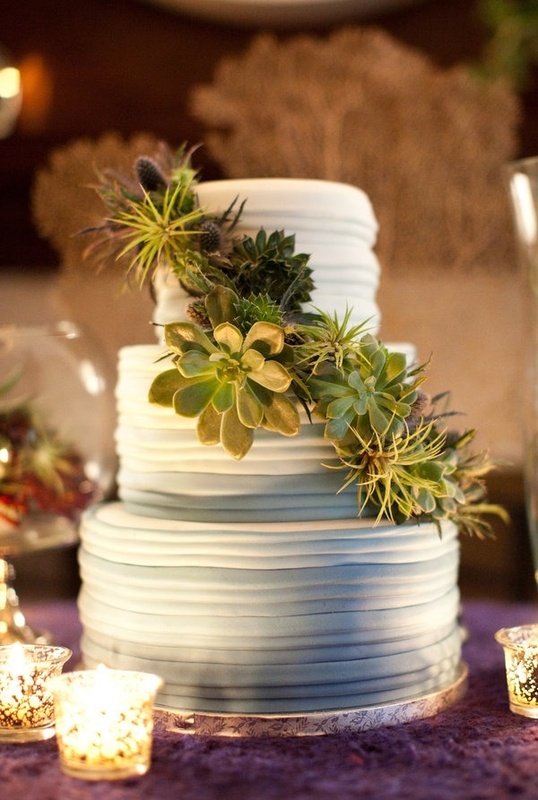 This new trend appeals to those who are going for rustic and country style weddings. It often makes people feel a bit nostalgic because it looks similar to homemade cakes. Can we take a moment to appreciate the incredible detail of this free hand lace fondant! 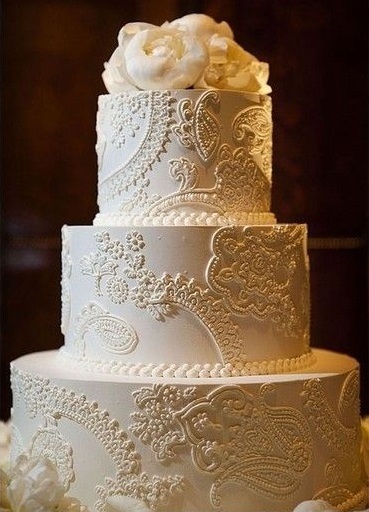 If you want a cake that will make your jaw drop – opt for this intricate elegant lace cake! 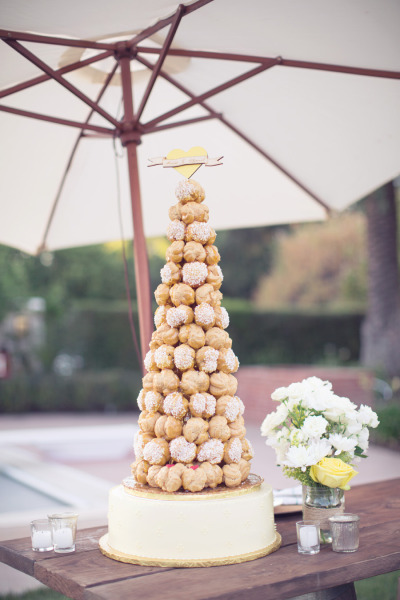 Originating from France, this whimsical French Croquembouche cake has rapidly become a popular alternative for wedding cakes. It was once believed if the newlyweds could kiss over the top of a towering Croquembouche without knocking it over, they would enjoy a prosperous life together. 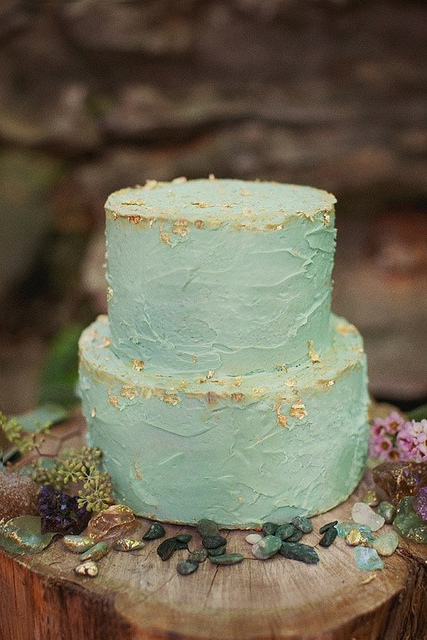 Looking for a subtle way to add some sparkle and shine to your cake without going overboard? Get ready to fall in love with this simple gold flaking look. 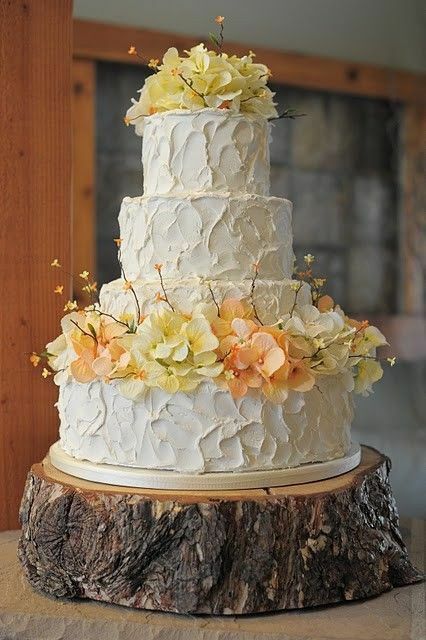 For a more rustic look, have your cake decorator use the flakes sparingly. For a glamorous look have the flakes heavily added to the rims of the cake or splashed across the entire surface of the frosting. 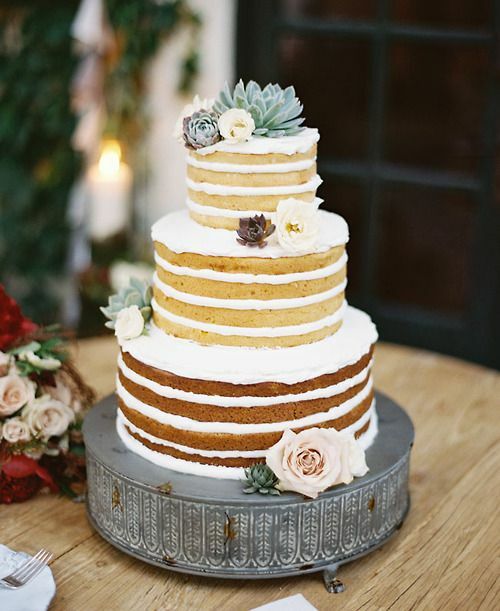 While flowers have been added to cakes for more years than we can count, gorgeous greenery such as succulents, moss and olive branch leaves are making their debut and adding a whole new twist to cake decorating lending to a beautiful and organic feel. This unique style is so natural yet breathtaking. Sometimes perfect and polished isn’t always best. 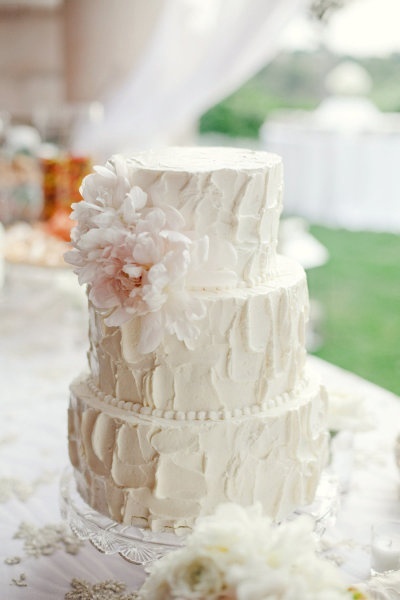 This new frosting technique allows wedding cakes to look slightly undone and rustic yet elegant and organic. We can’t get enough of this trend! Need something for the kids to do on your wedding day?